Is Trend Forecasting A Creative Process? Beauty trend forecasting - is it a creative process? Linear patterns and data only scratching the surface. The exploration begins outside of the box. In this industry, despite being so personally focused on beauty, we, as people, are affected by all industries and global change. And they, in turn, influence each other. 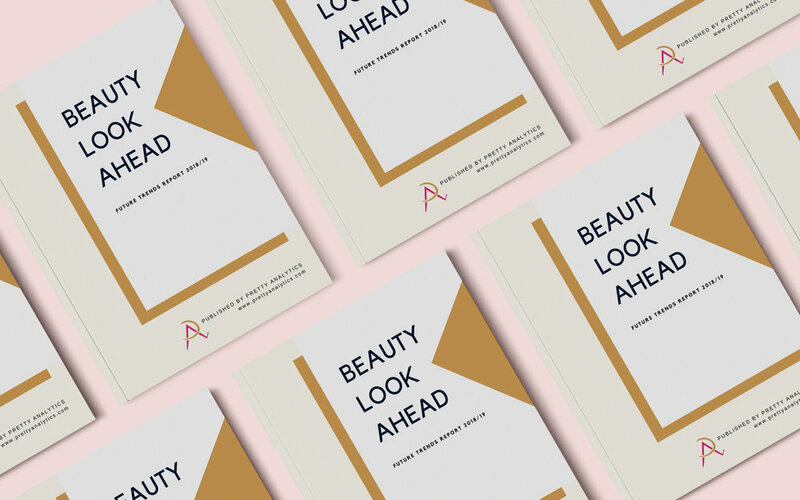 Environmental concerns, technology advances, politics, the economy, emotion, consumer sentiment, how we navigate our daily lives - these all power the beauty industry. Exploring this concept of trends and foresight, many years before Pretty Analytics was born, it often felt like a dark art. Now, I’m very much convinced that a lot of the best work in trend predictions stems from asking the right questions. At Pretty Analytics, alongside analysing big data sets and pulling graph visualisations to support information, it’s all about the questions. A cycle of questions and answers that refine itself on each iteration until actionable focus can be pinpointed. #1 Why is this macro trend or shift occurring? #2 How might this affect our futures as consumers, as brands, as retailers and innovators? #3 Are we likely to experience a peak? And if so, how will this then affect the far future? #4 Are all patterns really linear? Or a bell-shaped curve? Probably not. The current beauty climate showcases “global shifts” towards inclusiveness, sustainability and openness. Different to a runway trend that may fade into history by the next season. #5 How could this affect the individual? The industry has already begun to steer its course to something more authentic and inclusive and welcoming to those that want to express themselves. How do you, as a business serving the beauty sector, cater for this? From collecting and valuing consumer data to communication and the services offered. #6 Who does this give a voice to? The consumer, the potential customer, the indie brands or the big players...or someone else? (E.g the rise in e-commerce retail gave space to build direct to consumer brands who cleverly utilised social media and have given a loud voice to the indie brands). #7 Do you see any major flaws, risks, or a group that loses out? What could a contingency be? For example, are we heading towards a far future technology fatigue with the rise in connected beauty devices and in-app shopping? Do brands that bring the dermatologist into the comfort of your own home through products and devices enhance that market or risk the future of its services?